GED Test Prep Tutoring in Winchester, Massachusetts. In Home & Online GED Test Prep Tutoring with a Club Z! Tutor. Our office provides in home and online GED tutoring services in the following locations including Winchester, Lexington, Woburn, Wakefield, Lynnfield, Reading, and North Reading in Massachusetts. The GED, or General Education Development tests are often used to establish high school equivalency throughout the United States and Canada. Those individuals that meet the passing GED score requirement receive a Certificate of High School Equivalency or General Education Diploma to certify that they have met high school level academic skills. This comprehensive GED exam covers five subject areas, including: Language Arts-Writing, Language Arts-Reading, Social Studies, Science, Mathematics. Club Z! Tutoring of Winchester, MA GED tutors are ready and waiting to provide GED tutoring assistance and test-taking strategies to students of all ages and across all subjects. For the past two decades, Club Z! GED tutors have been helping students pass their GED test with flying colors! Club Z! has expert GED tutors ready to help you every step of the way! Most of our GED tutors have scored high on the GED exam, and will create you a customized learning program that will fit your desired GED tutoring needs. The GED is the only high school equivalency test that is accepted in all 50 states. The GED is a certification exam that proves that the student has obtained similar knowledge to that of someone with a high school diploma. 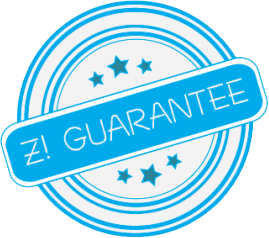 If you’re taking your GED to get a job, look no further, our expert GED tutors from Club Z! will help you pass! In addition to Winchester, our office offers GED tutoring services in the following locations: Lexington, Woburn, Wakefield, Lynnfield, Reading, and North Reading in Massachusetts. If you’re seeking a GED tutoring expert, look no further, call Club Z! Tutoring of Winchester, MA at 781-218-2282, or fill out the form above for more information! GED Test Prep Tutoring with a Club Z! Tutor. For the past two decades, Club Z! Tutoring of Winchester, GED tutors have been helping students pass their GED test with flying colors! Club Z! has expert GED tutors ready to help you every step of the way! Most of our GED tutors have scored high on the GED exam, and will create you a customized learning program that will fit your desired GED tutoring needs. ISEE & SSAT Test Prep Tutoring with a Club Z! Tutor. Club Z! Tutoring of Winchester, ISEE and SSAT tutoring programs use a comprehensive approach, covering math, verbal, reading comprehension, and even writing skills. In addition to a grade-level appropriate review of all the above skills, the student will be given a ISEE/SSAT practice exam to assess strengths and weaknesses and to build familiarity with the ISEE/SSAT test format. GRE Test Prep Tutoring with a Club Z! Tutor. Club Z! Tutoring of Winchester, GRE tutors can help you prepare for the GRE that is required for admittance to most graduate study programs in the US. Our GRE program identifies your weakest areas up front and then tailors a GRE study program for you to focus on all the areas of the GRE test. ASVAB Test Prep Tutoring with a Club Z! Tutor. Club Z! Tutoring of Winchester, ASVAB tutors are available to help out all those Americans interested in joining the United States armed forces. Our ASVAB test prep tutoring services will provide the skills and knowledge necessary in each of the nine sections on the Armed Services Vocational Aptitude Battery, or ASVAB test. PreACT Test Prep Tutoring with a Club Z! Tutor. Club Z! Tutoring of Winchester, helps you prepare for the preACT with the help of a Club Z! preACT tutor. With the help of a Club Z! preACT tutor, you can maximize your score on the preACT and set yourself up for success on the real ACT test as well. ACT Test Prep Tutoring with a Club Z! Tutor. With Club Z! Tutoring of Winchester, you will receive a personalize ACT program from our exceptional in home and online ACT tutors. Our ACT tutoring professionals are well trained in ACT Test Preparation and ACT tutoring, and are excited to help you succeed! Club Z! tutoring has helped students across the country increase their ACT scores on average 3-4 cumulative points. SAT Test Prep Tutoring with a Club Z! Tutor. Club Z! Tutoring of Winchester, SAT Test Prep Tutoring Program will help you feel confident on your SAT test date. Club Z! SAT Tutors on average will help you increase your scores by 160 points. With Club Z! Tutoring we provide you with a top tier SAT tutor who can work closely with you and help you properly prepare for the SAT Test. We offer many SAT test prep options for your student. Club Z! Tutoring of Winchester, PSAT Test Prep Tutoring with a Club Z! Tutor. As a first step in college entrance exams, the PSAT helps students become familiar with college entrance exam format and subject matter. Armed with their PSAT experience and scores, student study time can be more productive and the focus can be on areas where they need improvement.